Racing Point have confirmed that the team's 2019 challenger – potentially to come with a new livery and team name – will be revealed on February 13th at the Canadian International AutoShow in Toronto. The reveal will see a slight change in tradition for the team formerly known as Force India, who had used their Silverstone base for similar events in recent years. The move also signifies a possible change in the team's base following a takeover by the consortium led by Canadian billionaire Lawrence Stroll. Lance Stroll's move from Williams and an official dropping of the Force India moniker from the FIA's 2019 entry list are early signs of the changing times at the team. Stroll Sr moved into the picture when the team was put into administration as a result of action taken by their driver Sergio Perez. The Mexican's move ultimately saved every job at the team as Stroll bought out the old company's assets and entered a new team in its place. Team principal Otmar Szafnauer recently suggested that he was not a fan of the 'Racing Point' name that has been attached to the team since Stroll's takeover and said another change could be in the offing ahead of the 2019 season. 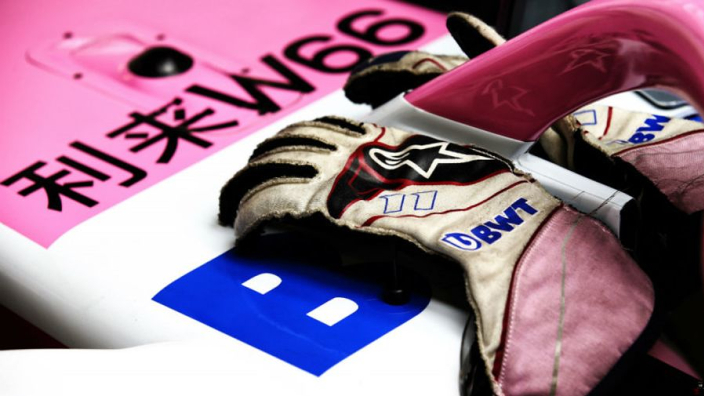 However, it is expected that the team's striking pink livery of recent years will remain, at least partly, in place as it is linked to a sponsorship deal with BWT, who are likely to remain connected to the team.